Can you actually believe that it's December? Christmas FM is back, Larry Gogan played 2fm's first Christmas song of the year today, it's staff party season - all in all lots to be cheery about! Despite the mayhem that month of December brings at school, between the Nativities, Carol Services and Fairs, it's a month which allows for lots of lovely arts, crafts and classroom festivities! Candy Canes - Pattern Making - ties in nicely with infant maths, though you could add in more colours & patterns for other classes/ability groups! "I had a lick of a peppermint stick, and oh it tasted yummy! It used to be on the Christmas Tree but now it's in my tummy!" 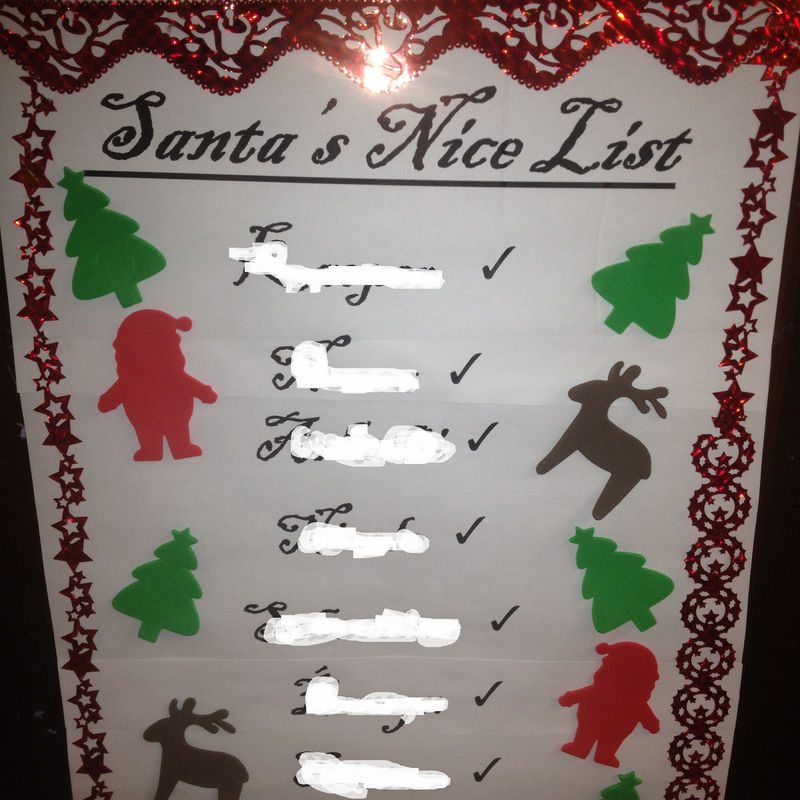 It's always nice to have a little Christmas keepsake, especially from infants. My mum still has a little Santa I made from a toilet roll tube in Junior Infants, sitting on our Christmas tree every year. The poor guy is likely to disentegrate some of these years, but still it's a lovely little keepsake. Yesterday we made these little Santa Decorations. Simple and cute. Handprints, googly eyes, sharpie mouths and a bit of ribbon! Ready to go home and hang on the tree tomorrow! 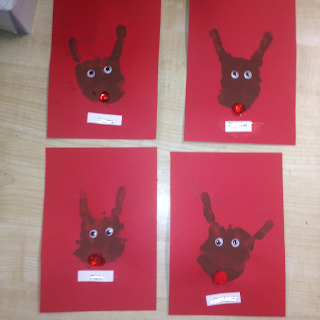 We also made some Rudolf pictures. Had I put the flash on the camera you would be able to see the little antler details they added! 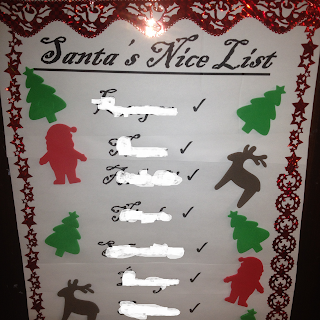 Tomorrow, I'm looking forward to seeing the reactions when they realise 'Santa's Nice List' is hanging on our door! I got the little foam figurines and border sticker rolls in Dealz. Ohhh I'm feeling the festive spirit in the air already! Friday tomorrow, folks, nearly there!